Amys Nails | Mary Mary, quite contrary, How do your nails grow? Mary Mary, quite contrary, How do your nails grow? Touch the area of skin closest to the white bit (lunula) at the base of your nail. That’s because there is a cushion protecting your matrix. The matrix is where your nail plate is born. Keratin cells (same as hair) peek their heads through the protective muscle, taking with them some skin cells (which we clean/remove during a manicure) and begin their epic journey to the white bit at the end of your nail (free-edge). During this journey the cells keratinise (harden) and provide protection to the nail bed. The nail bed (area under your nail) is packed full of tiny blood vessels and nerve endings (contributing to our sense called touch) and needs protecting. When the keratin cells grow beyond the area of the nail bed, they lose their attachment to blood and nerve endings and ‘die’ (which is why we can cut/shape it without pain). This journey takes 3 to 5 months. The growth rates and keritinisation is most affected by weather/temperature, stress, pregnancy and how you care for your nails. 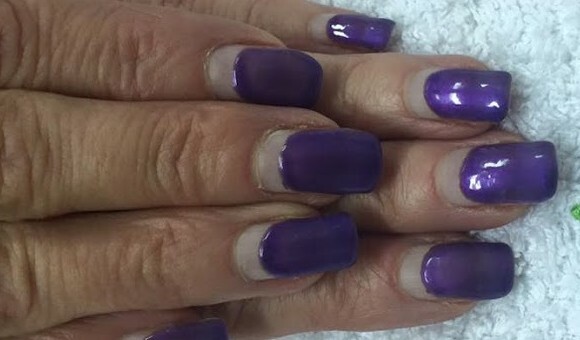 At Amy’s nail, we understand this whole journey and store all the knowledge, skills and products to help you maintain the healthiest of natural nails. Hello everyone, The team has asked me to introduce myself and my. From April 1st 2017, prices on most services will be raised by. ‘Pretty Poly!’ When your technician is crafting an extension. There isn’t much. ‘Valentines Nail Art Offer’ Hi It’s Laura. I am our Nail Art. 1) Zoya costs us 30% more than OPI nail polish. as our.